At just 24 years-old, King Mez has made valuable connections. After coming up under the wing of North Carolina legend J. Cole, the southern MC went on to sign briefly with Pusha T‘s manager, and has already put in studio time with most of your favorite rappers’ favorite producers. He’s a hybrid talent, with production prowess and songwriting savvy that help him make pop-friendly songs that never skimp on the truth. The MC’s highly professional and stylized videos also show his all-inclusive approach to stardom. Between showing landscapes from his native North Carolina and glimpses of his explorations on the West Coast, his visuals—largely directed by a creative team called the Summit Collective—offer glimpses into the life of a rising star with a complicated past. 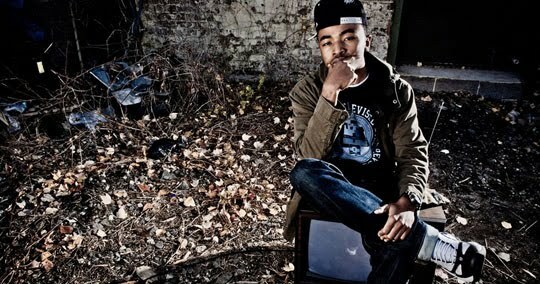 Over the course of his first trio of mixtapes, King’s Khrysis, My Everlasting Zeal, and last year’s Long Live The King, Mez has blended the highly listenable stylings of his southern counterparts with his own raspy vocals, as well as experimenting with some of the weirdness explored by the likes of OutKast. Last year, Mez’s experimentation caught the attention of Dr. Dre, and since then the Aftermath general has gone all-in on his latest protégé, with a rumored “masterpiece” debut (J. Cole’s words) expected via Aftermath/Interscope later this year. Here are 10 reasons why everyone is talking about King Mez. While his delivery is reminiscent of rising southern stars like Deniro Farrar and Isaiah Rashad, he offers more resounding highs and lows than his counterparts. “I’m thankful I hear that [I have a distinct sound] a lot,” Mez told XXL last year. “It has a lot to do with my voice, and the way I’ve curated my voice. He produces or co-produces most of his own beats, making him a concept-to-completion creative in the same vein as Big K.R.I.T. and J. Cole, the latter of whom Mez recently opened up for on tour. When he’s not producing for himself, he’s put in session time with some of the biggest producers in the game. To date, he’s culled beats from Lupe’s longtime producer Soundtrakk, Drake favorite Boi-1da, and notable beatsmiths Omen and Illmind. He was born on the exact day Nas’ Illmatic debut came out. Fittingly, Nas is Mez’s favorite MC. He pays respect to undercelebrated figures in pop culture, like the incredible Indiana Pacers shooting guard Reggie Miller, whom Mez immortalized in a recent single and video. He inspired Dr. Dre to work on new music, and since July the pair have appeared side-by-side in many in-studio photos posted to Mez’s Instagram. The last person to get Dre active in the lab? Kendrick Lamar. Though he recently parted ways with longtime manager Steven Victor – who also manages Pusha T—Mez likely clocked studio time with King Push. Doesn’t hurt to learn from the best in the business.